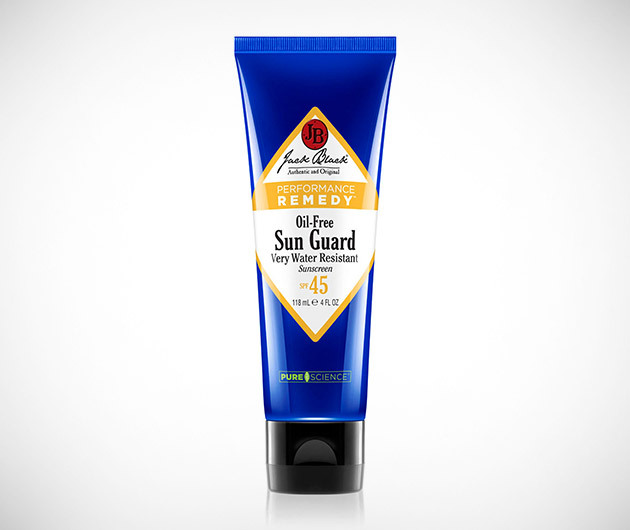 Keep those harmful rays at bay with Jack Black Sun Guard. This premium sun screen offers maximum protection, even during extreme physical activities, it won't run into your eyes and is also highly water resistant. It's oil-free, infused with vitamin C for antioxidant properties and harbors organic calendula flower which contains anti-inflammatory properties while soothing your skin.